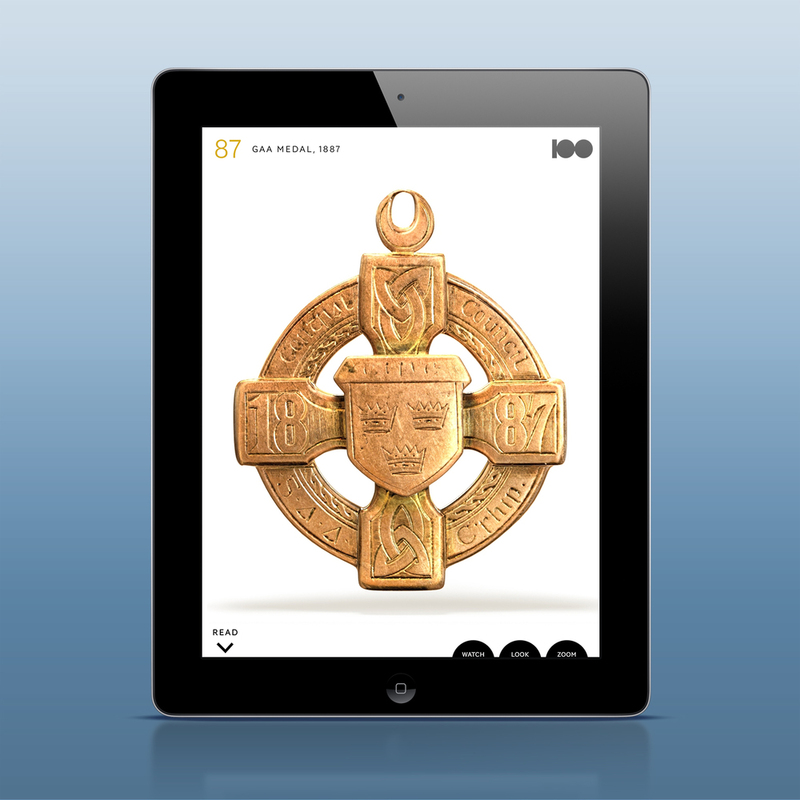 "A Gift from Ireland to the World"
Just in time for St. Patrick's Day, Joe Zeff Design is excited to announce that A History of Ireland in 100 Objects, our collaboration with the Royal Irish Academy and Adobe, is available for iPhone, iPad, Kindle Fire and Android tablets. The Royal Irish Academy is Ireland's academy for the sciences, humanities and social sciences, and membership to the Academy is the highest academic honor in that country. 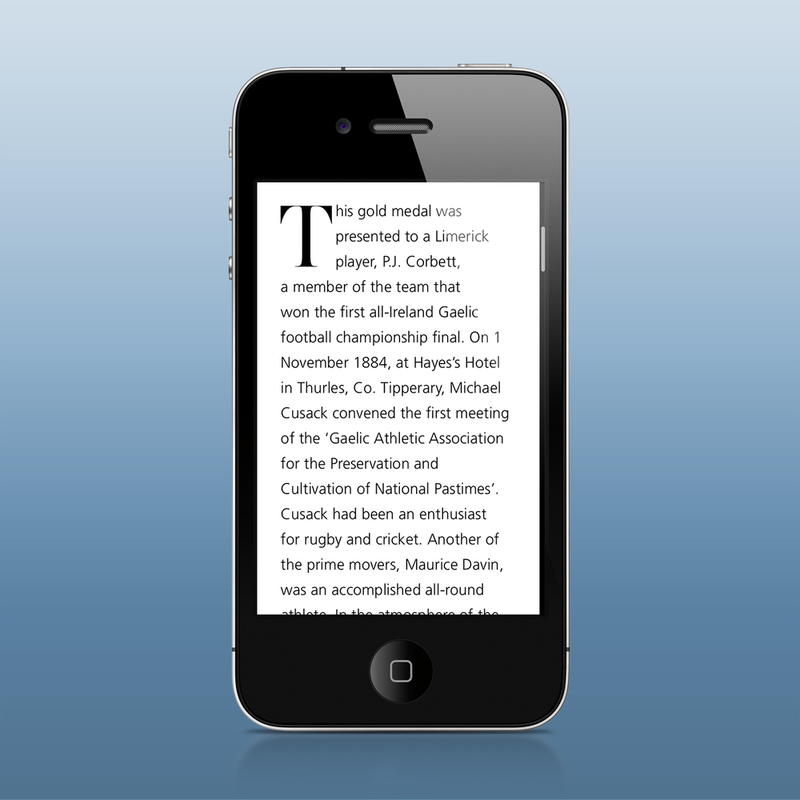 The apps are a culmination of a multiyear project involving the Academy, the National Museum of Ireland and The Irish Times. Other partners include the EU Presidency, the Department of Foreign Affairs and Adobe. 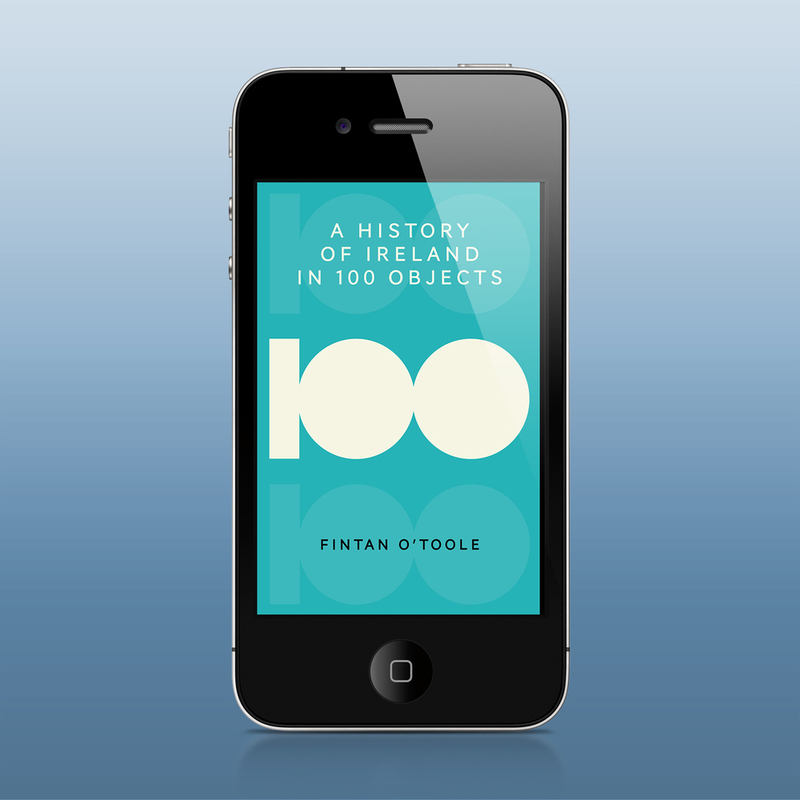 Fintan O'Toole, a journalist from The Irish Times, launched the project in 2011 with a series of newspaper columns highlighting 100 objects from Ireland, the UK and Norway that connect with Ireland's rich past. Those columns became a hardcover book, and that book became the series of apps that we designed and developed for multiple platforms using Adobe Digital Publishing Suite. We infused the book with multimedia content, including a set of mini-documentaries produced in concert with Trilogy Films. Only days after winning an award at the Sundance Film Festival, Dawn Porter and her team visited Fintan at Princeton University, where he is a visiting lecturer in Irish Letters. 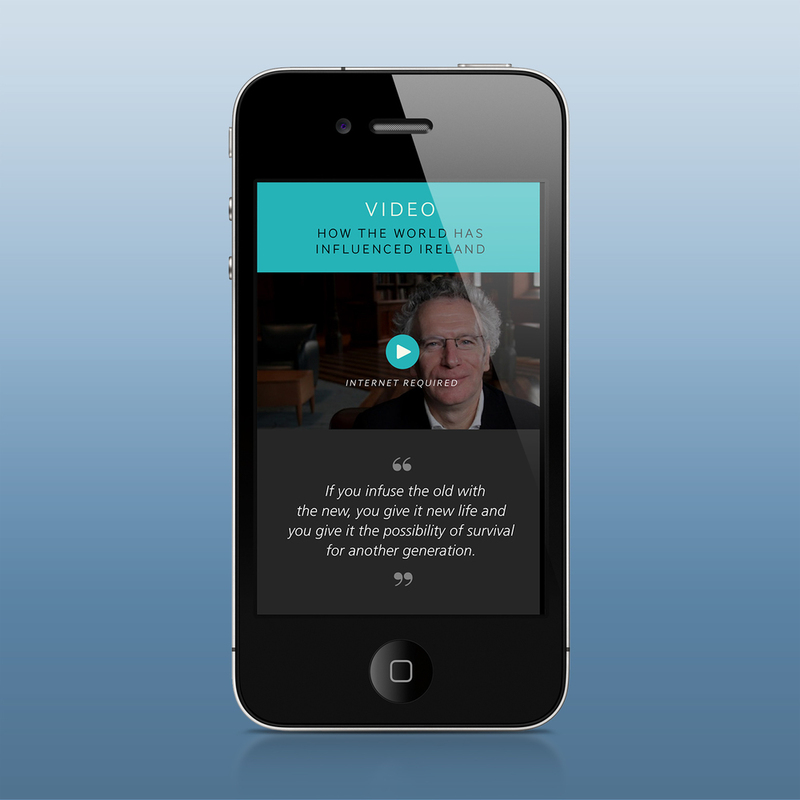 Together we produced several video essays for the app that connect the objects to bigger ideas: how other cultures helped shape Ireland, and how Irish culture has made its way around the world. Further, we've added audio and video, zoomable imagery, animated objects, intuitive navigation and ways to share content through e-mail, Twitter, Facebook and Pinterest. 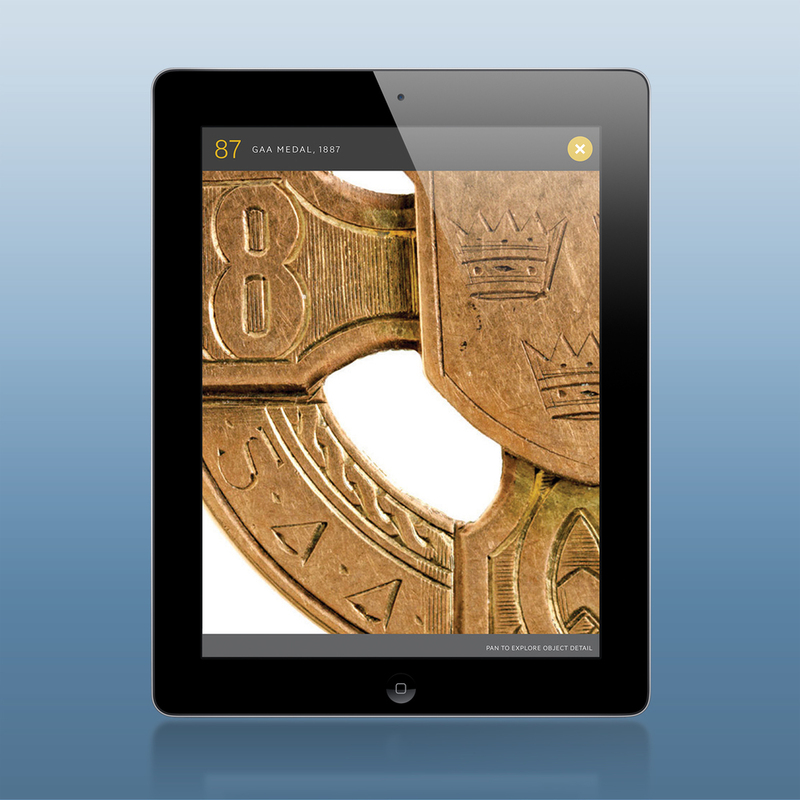 The iPhone app differs from the tablet apps, bearing a simplified design that makes it more useful for visitors to Ireland's museums. The iPhone app integrates with Apple's native map application to help users find their way to each object and know which other objects are nearby. We thank Ruth Hegarty, managing editor of the RIA, for entrusting us with this project, and her team that included Geoffrey Keating, Pauline McNamara and Fidelma Slattery. We look forward to joining them next week in Dublin to celebrate the launch along with Nobel Prize-winning poet Seamus Heaney at the National Museum of Ireland. Likewise, we thank Kevin Lynch, Eileen Foley and Ivan Mironchuk at Adobe for their support with this and other projects; and Dawn Porter, Summer Damon, Derek Wiesehahn, Hannah Gregg and Tim Kauffeld at Trilogy Films. At Joe Zeff Design, we're beaming with pride that our apps portfolio now spans from the Notre Dame Fighting Irish to the Government of Ireland. Krissi Xenakis, Josh Penrod, Chris Holewski, Ed Gabel, Ian Brown, Emily Ragle and Michael Smyjewski all played significant roles in producing these apps at Joe Zeff Design. About Joe Zeff Design: We design and develop iPad apps for publishers, corporations, agencies, institutions — anyone with a story to tell. Based in Montclair, NJ, former TIME Graphics Director Joe Zeff and his team of experienced designers, illustrators and animators produce multimedia apps for their clients, which include Fast Company, National Geographic, TIME, Food Network, Kids Discover, UCLA and others. We have designed four apps chosen by Apple as iTunes App of the Week, and one that resides in the iTunes Hall of Fame. In addition, the team has illustrated hundreds of major magazine covers and album covers for Jay-Z and Kanye West.